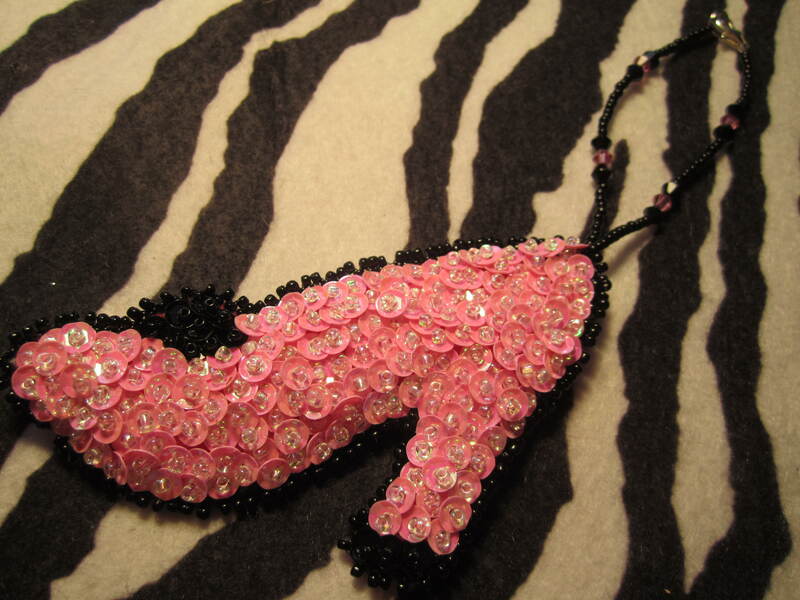 I just finished a new beaded project !! Something I have never done before and I am really happy with it !! 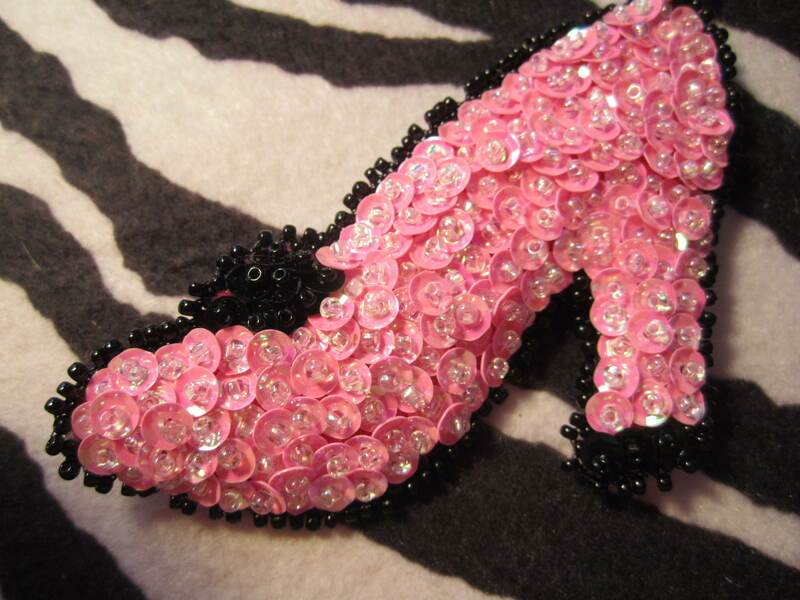 A beaded and sequined shoe to hang on the car mirror or a lamp or a knob on a dressor or on a curtain rod !! I wish the pictures did it more justice, but in the pictures I took making it you can see the color better , here are some pictures of it while I made it !! THis is the true color, a pretty bright irredescent pink !!! 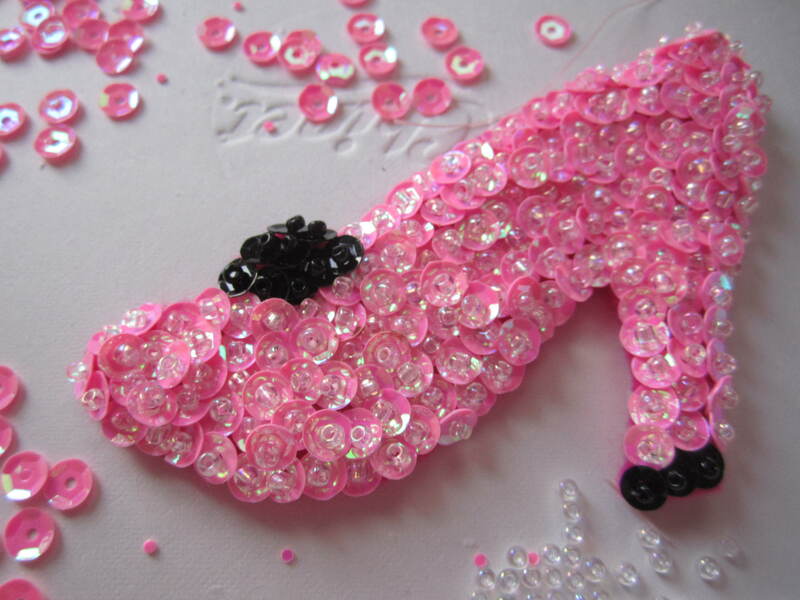 The pink sequins are so pretty and bright, and I used a clear irridencent bead for the center of each sequin. I love the contrast with the black !! 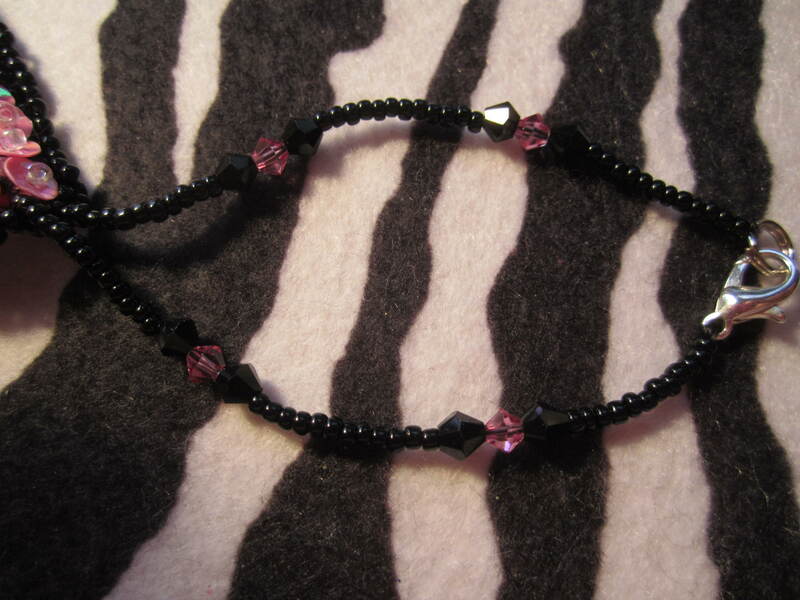 I chose a black seed bead to do the trim that sewed it together, and then fun zebra print for the back. 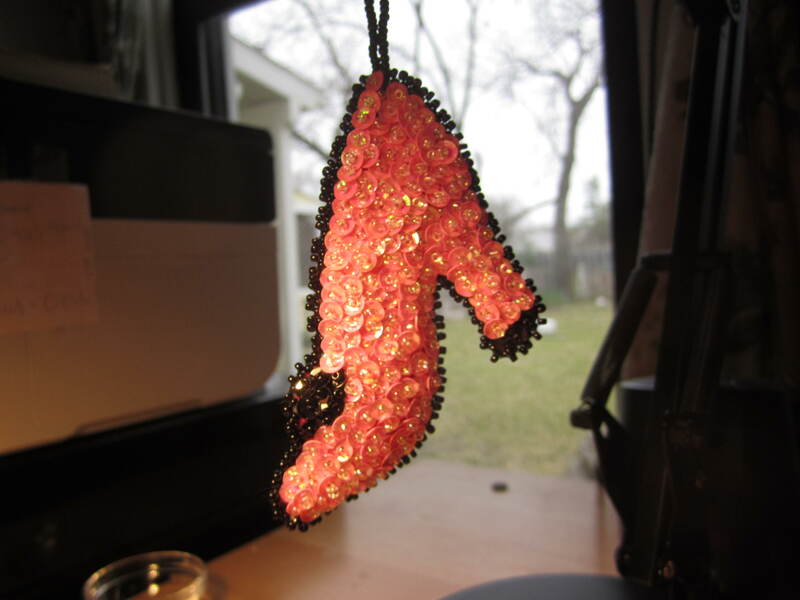 I plan to make many more projects l ike this one to put in my stall at the antique store !! 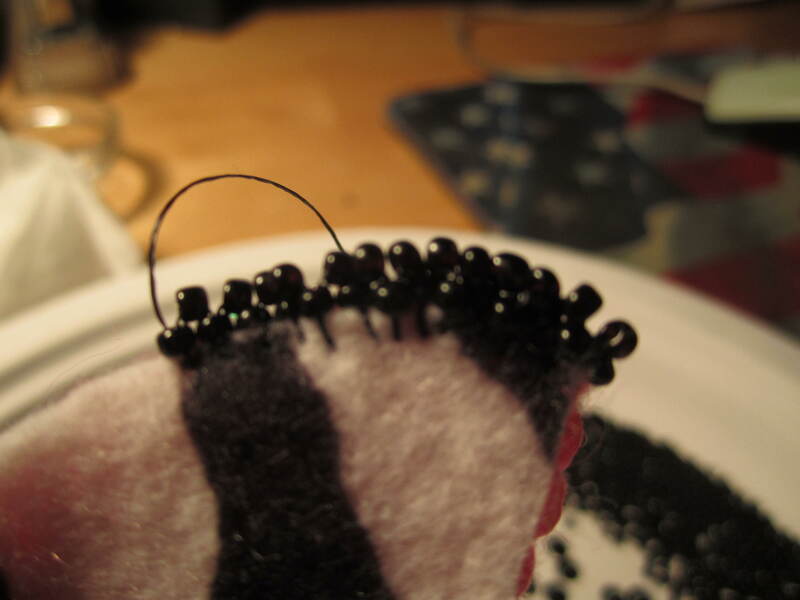 I am going to do a little crown next , and then a dress !! I have a lot of differant dress designs I want to do, again just for fun for a car mirror, hang on a curain rod, drawer pull or just anywhere !! I also plan to do a selection of crosses as well. I love making jewelry but this is my passion, I love the sequins and seed beads and creating fun little gems like this one !! I love how they sparkle and shine in the light ! !